Do you use a nanny? Families who use nannies to help with the kids may have something to look forward to this year. The Productivity Commission has recommended that registered nannies be included under the government’s proposed new childcare benefit scheme. This means working parents may soon be able to claim a rebate for using a nanny. Pressure on childcare places means more and more families are turning to nanny care to help look after children while parents work. But nannies are not part of the government’s current childcare rebate scheme, so families have had to foot the bill from their own pockets, making nanny care unaffordable for most. 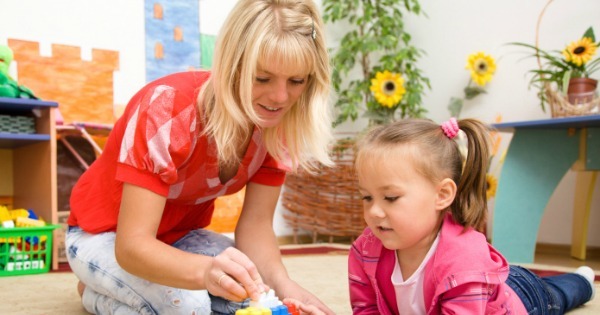 The new child care benefit scheme, if approved, will change this because for the first time it will recognise registered nannies as approved childcare providers. That’s good news for Australian nannies and Australian parents. We spoke to Louise Durham, vice president of the Australian Home Childcare Association, about what these changes will mean. And here’s the good bit – she tells us that under the proposed scheme, nannies registered with a government-recognised agency will be coming into the mix with long day care and family day care. So that’s up to 100 childcare hours, whether at a childcare centre, family day-care or through a nanny, per fortnight for children 13 years and younger. But there’s a catch – Ms Durham says if the changes go ahead, a nanny must be from a regulated government body to ensure they meet the quality of standards. Right now, she says 65 percent of nannies working in Australia are off the books. Families using au pairs and non-registered nannies will be not eligible for the child care rebate scheme. Durham suggests that if you are considering using a nanny that you go through a government approved agency. All nannies are screened with police checks and must have a current first aid certificate. They are personally screened and interviewed by the agency to ensure they will be the right fit for your family. In addition to adding registered nanny care to the childcare benefit scheme, the proposal also includes simplifying the current system. As it stands right now, many families are eligible for both the child care rebate and the child care benefit system. The Productivity Commission recommends combining these into one means-tested payment. It also recommends introducing a sliding scale system, with families earning under $60,000 receiving 85 per cent of the childcare rebate while families earning over $250,000 will receive a 20 per cent rebate. According to The Daily Telegraph, the average Australian household, earning around $130,000 per year, will be $50 a week better off under the new scheme though families making over $160,000 per year may be worse off. Childcare costs have soared more than 150 per cent in the past ten years with the national childcare average topping $75 per day per child. In Sydney, the average cost for childcare per child per day is around $120.